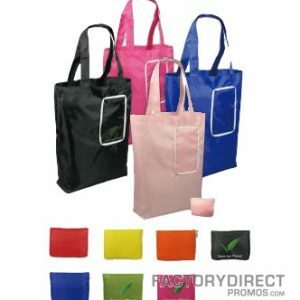 The folding design of this reusable tote makes it easy to take along on the go. It’s great if you’re heading out to a farmer’s market or running errands since you have the advantage of a bag if you need one, but it conveniently folds up into a small pouch until you need it. Let this compact tote promote your organization by imprinting it with your logo or a branding message. 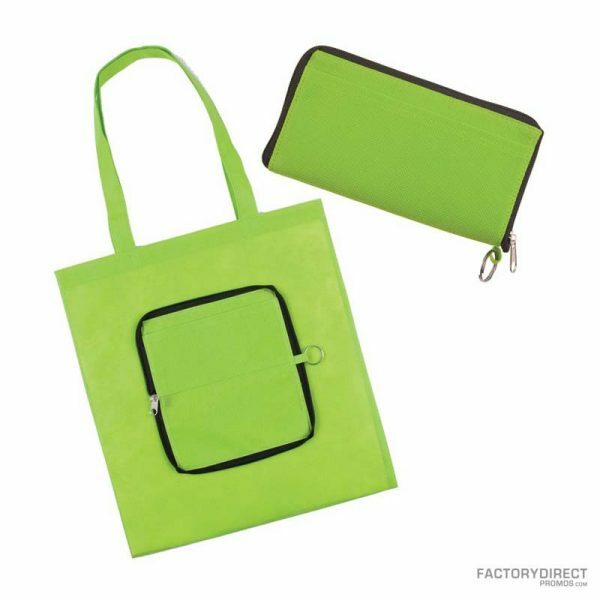 These personalized reusable bags are constructed from recycled polypropylene which makes them an eco-friendly way to promote your brand. 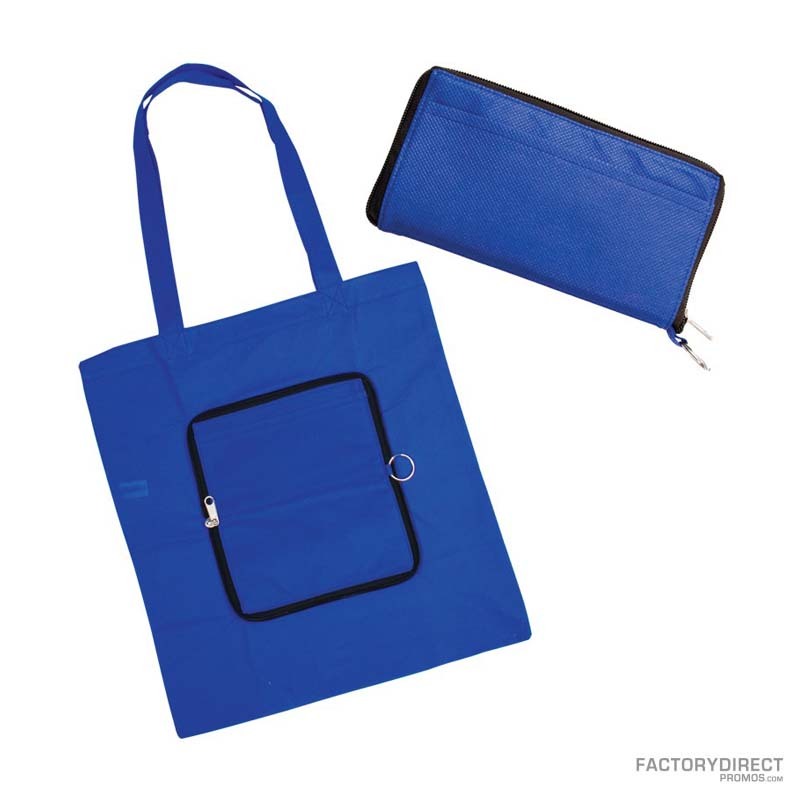 Factory Direct Promos is an industry leader is customizable promotional materials and we will help you select bag and imprint colors to get your company noticed. 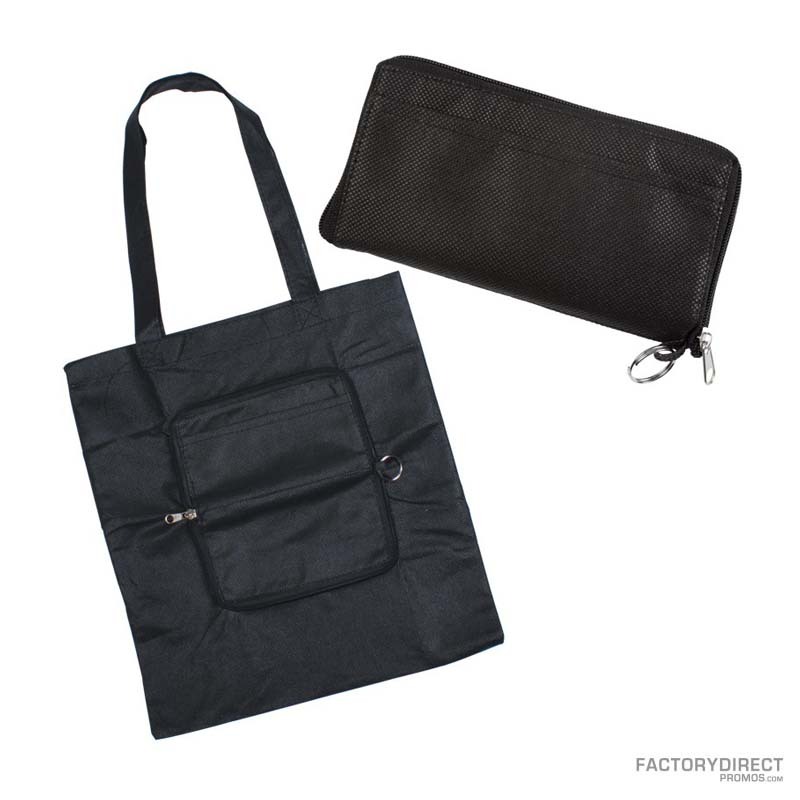 If you want something different check out our overseas production to completely design your bag.